The results are in! The following businesses located in Downtown Alameda were selected by the readers and editors of Alameda Magazine as “Best of Alameda” in the publication’s 2017 Best of Alameda issue. A complete list of the 2017 Best of Alameda winners is available on Alameda Magazine’s website. The following businesses located in Downtown Alameda were selected by the readers and editors of Alameda Magazine as “Best of Alameda” in the publication’s 2016 Best of Alameda issue. 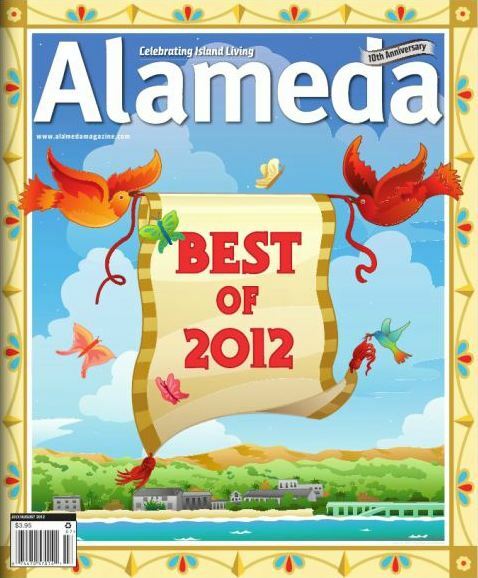 A complete list of the Best of Alameda winners is available on Alameda Magazine’s website. The following businesses located in Downtown Alameda’s historic Park Street District were selected by the readers and editors of Alameda Magazine as “Best of Alameda” in the publication’s 2015 Best of Alameda issue. The following businesses located in the Park Street District were selected by the readers and editors of Alameda Magazine as “Best of Alameda” in the publication’s 2014 Best of Alameda issue. The following businesses in the Park Street District were selected by the readers and editors of Alameda Magazine in the publication’s 2013 Best of Alameda issue. The following businesses in the Park Street District were selected by the readers and editors of Alameda Magazine in the publication’s 2012 Best of Alameda issue. The following businesses in the Park Street District were selected by the readers and editors of Alameda Magazine in the publication’s 2011 Best of Alameda issue. And the Park Street District was selected for a couple of favorites too!